After three straight weeks holding the number one spot at the box office, Avengers: Infinity War has fallen to (no, not Thanos) Deadpool 2. 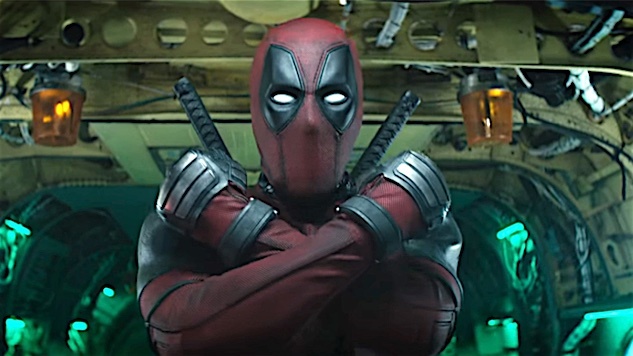 The raunchy superhero-comedy crossover, out via 20th Century Fox, and a cousin to the Disney and Marvel Studios-produced films you know and love, dominated the domestic box office this weekend, racking up around $125 million, according to studio estimates. It’s the second-highest opening weekend for an R-rated movie ever. In the sequel to the original 2016 flick, Ryan Reynolds returns as the irreverent, revenge-seeking Deadpool. With Memorial Day weekend looming, Deadpool 2 will likely see competition from the highly anticipated Solo: A Star Wars Story, out this Friday, May 25, which is also getting a lot of critical love leading up to its premiere. Despite both films seeking the title of summer blockbuster, Infinity War is still a reigning box office giant—it’s earned $1.81 billion internationally since its late April release, per Box Office Mojo. Infinity War will likely be the film to beat for the foreseeable future, seeing as it scored the biggest opening weekend of all time. You can check out our review of Deadpool 2 right here.